This Sunday, March 24, 2019, former HRF Member Haunn Moore will be preaching from Mark 8:34-38. We encourage you to prepare for corporate worship by reading and praying through the text prior to the message on Sunday. Question: What does God require in the ninth and tenth commandments? Answer: Ninth, that we do not lie or deceive, but speak the truth in love. Tenth, that we are content, not envying anyone or resenting what God has given them or us. Scripture Memory Verse: James 2:8. The Sufferer I Want to Be - If deliverance from suffering doesn't come, it doesn't mean God hasn't heard your prayers. It means he has a better plan. Why You Will Join the Wrong Church - Our relationships will ebb and flow, as will our affection for the church. But the solution is not always looking for a better fit. Love Your Bibles - The problem is that most of us want to hear God’s voice, but we don’t crack our Bibles, and we don’t even buy our own excuses for not doing so. We can all use some fresh motivation. 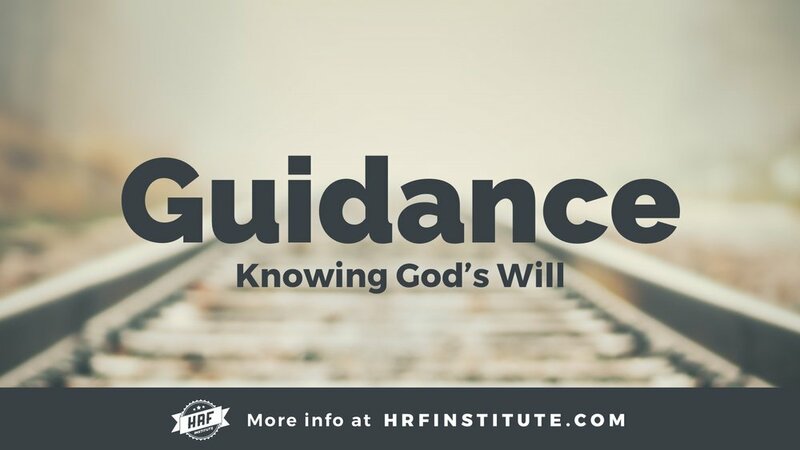 Two Sundays ago we began a new HRF Institute Class on "Guidance - Knowing God's Will". Over the next 2 weeks, we will continue taking a look at what the Bible says about the will of God, how God guides His people, and how we are called to make decisions in all areas of life in light of God's Word. Many people desire to be discipled but have many questions and don't know where to start. This training will help you to feel more confident in beginning and/or being a part of a Discipleship Group. It will also provide you with the necessary tools to help you initiate a discipling relationship and/or be a part of one.